so, it is time for the tea. thrifting; do you do it? well you should and in this blog post i am going to be dishing out the tips and tricks i use when going thrifting as well as showing you my recent finds. so, my #1 tip for thrifting is to go unplanned. don’t go into thrifting looking for a certain piece or outfit because you will tear your hair out trying to find it. today, i went thrifting completely randomly and found more items than i really ever have. i didn’t go looking for a certain piece or even color really, i just went in looking! so to start off the shopping trip, i found my go-to fashion item; t-shirts. i tend to go to the tshirt section to look for oversized shirts to wear or shirts i can cut into crops. my style is generally more laid back and i wear a lot of crops and oversized shirts in the spring time. all of these shirts were around $2-3 each and i was very happy with what i found. although winter came to a close, i still wanted to check the jacket section for my next favorite fashion item – windbreakers. i found these two for $6 each and i am suppppper exctied about them. i actually bought the wilson tennis jacket for my friend who plays tennis. i was sad to see it go, but i have a million jackets, i could spare this one. the red jacket caught my eye and took me out of my comfort zone. red is NOT my color, but this jacket was super cute and comfy on. so tip #2 is to go out of your comfort zone! try different styles, colors, and sizes, and SECTIONS. most of the clothes i thrift come from the men’s section. dont be afraid to try things out. next, i headed to the blouses and picked up these two cute shirts for $3 each. one of them was NastyGal. NASTYGAL. ladies!!!!! thrit!!!! the black shirt was hard to capture in a picture but it has a tie in the front and is cropped and is super stylish and cute. the yellow shirt is my favorite color and perfect for spring time. these next two i caught last minute. the white top is so feminine and petite i was super happy to come across it. paired with a white bralette and a skirt is a perfect sheek spring outfit. the striped top was more my style and the buttons were such a cute add on. i got 3 pairs of insanely cute pants. the first pair on the left is from j.crew and were a stretchy denim fit with a tie that scrunch at the bottom. the middle pair reminded me a lot of a pair i had from forever 21 and were super cute and retro. the black pants were stretchy black jeans that somehow i had none of? tip #3 would be to try the clothes on if you can. this day, i didnt have the proper clothing on to try on my items, and honestly i was not in the mood so i just opted out of my own tip. but to confirm your purchase, try it on! my last place i check in the thrift store is the book section. and boy, did i hit a jackpot. so not only was the deal buy 4 books get one free, i found all of the books that were on my Amazon wishlist for more than 50 percent off. these books were THREE DOLLARS EACH PEOPLE. and i got one free. so ladies and gentleman, those are my 3 thrifting tips. 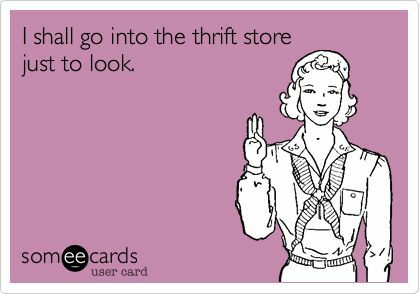 thrifting is so cheap and beneficial to the environment as well as helping out people and charities in need. go in with an open mind, and getcho thrift on. I haven’t thrifted in so long and definitely need to get back into it. Which places do you go to? I go to Salvation Army & savers! Yes, girl. I love this soooooooooooo much! ❤ You got so much good stuff. I love Thrift stores and finding hidden Gems. Thanks for sharing your tips! At least you live in the UK! I’m so jealous. It has its ups and downs!! What part of America are you from? I completely agree with ALL of these tips! One of my favorite things is thrifting!! !